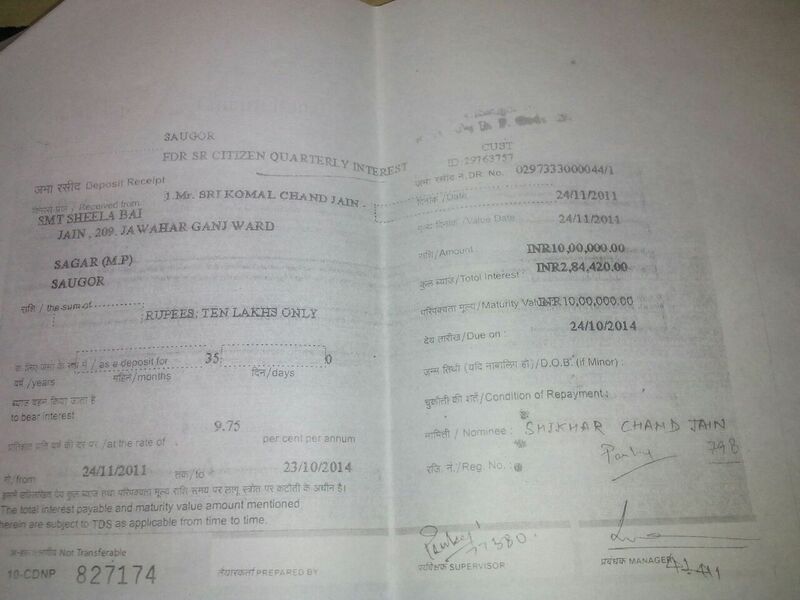 There is FD made in Canara bank before 5 Years by late Komal Chand jain (father of nominee) of 10 lac bt branch manager of Sagar branch forgot to signature of customer on nominee place and made fd.now bank is not transferring amt to nominee name even nominee name( shikar Chand jain ) name is printed on FD receipt and also bank havevnominee name in computer also as proof. Ban have done mistake and from 9 months bank manager is giving excuses and now finally told right mistake done by them. I am senior citizen and heart patient bank call daily and give new excuses now finally they are asking to take signature of all brother and sister which are ten in quantity and signs some document to hide there mistake.pls help me. I have done many time compliant and also given notice in which they are not agree to transfer bt excepting there mistake.pls help us.from 5 yrs wht bank is doing if they forgot to take signature of customer why don't they ask when he is alive. Bank have money in custody so they can do anything pls take serious action.